Starring Timothée Chalamet and Armie Hammer. Directed by Luca Guadagnino. This film has already become a much-lauded classic in die LGBT-genre and is finally available on DVD. 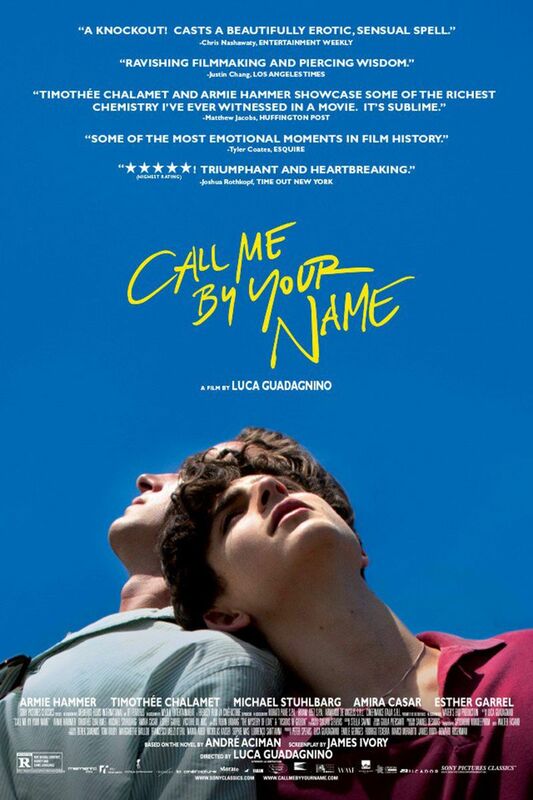 A 17-year old boy and his father’s associate fall in love in Italy and have an idyllic summer romance. The luscious cinematography reflects the joys of first love, the script has an underlying philosophy about the true nature of real love, the acting is understated and natural and the directing evokes a sense of nostalgia and beauty. Like God’s Own Country it has now become the kind of film that can be watched again and again, praised, admired, and finally evoking as strong an emotional bond as you can form with a film. Michael Stuhlbarg as the father is brilliant. Life-changing!